Online bingo and gaming operators based abroad may see huge changes to the current remote licensing laws and approved ‘white list’ of countries permitted to advertise in the UK if the Department for Culture, Media and Sport (DCMS) and the Gambling Commission get their way. The DCMS produced a report on current legislation in January and commissioned a feasibility study to see how making changes to current legislation would hopefully make industry improvements and give greater protection to consumers. The latest report sets out proposed changes and seeks feedback from the industry on how the proposed changes to the LCCP (Licence Conditions and Code of Practice) would affect online bingo and gaming industry. The current legislation for online bingo and gaming sites aims to ensure that sites targeting the UK market have certain measures in place. These measures include that sites aim to prevent irregular betting and to report any suspicions of organised crime and irregular betting to the authorities, that games are tested for fairness, that there is provision of measures to protect underage people and vulnerable adults in place, that there are clear procedures for complaints and that bingo and gaming sites have their terms and conditions published for players to refer to. At present the licence regulations only apply to sites that have their equipment based in the UK. Other emote gambling sites in certain European areas such as Gibraltar and areas covered by the White list which include The Isle of Man, Alderney, Tasmania, Antigua and Barbuda are permitted to advertise in the UK. The need for change has been brought about by the rapid increase in remote gambling and the flood of new bingo and gaming sites, some of which are advertising in the UK yet are not either licensed in the UK or on the approved white list. Some of these sites do not afford protection to the British consumer and do not contribute to the treatment of problem gamblers as the legitimate sites do. This unbalanced system now is coming under scrutiny and changes are likely to include a more consistent standard of regulations that ALL bingo and gaming sites targeting the UK market must adopt, an emphasis on fairness for the consumer and cost of upholding regulations being covered by all sites that operate in the UK market. 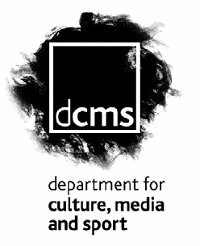 The full DCMS proposals for the remote gambling industry can be read by following the link and the consultation period runs until the 18th June 2010.